My 6 year old son just finished kindergarten last week and our summer has officially began. American schools have a looong summer break. It varies depending on school districts and which state you live in, but in my son’s case, he’ll have about 10 weeks off! Oh I wish I have 10 weeks of vacation (…daydreaming…). When I was growing up in Japan, my summer break was just 5-6 weeks, and I thought that was long. I’m a bit worried about how to keep up with this active boy while my daughter still goes to preschool every morning during the summer. Today I’m sharing a clam recipe. Yes, finally. Thank you for waiting, to those who requested for other clam recipes after my Japanese Clam (Sake Steamed Clams) post back in November. We eat clams once in a while but they didn’t make it to a post. Today’s recipe comes in very handy if you want to serve some quick seafood as an appetizer or on the side. The recipe is very simple and can be prepared in minutes. In my household, my husband does all the barbecue so he’s the chef today cooking my recipe, the barbeque clams. One of reasons I enjoy summer is because it’s barbecue season, and that means I do a bit more of the eating and less cooking on weekends! 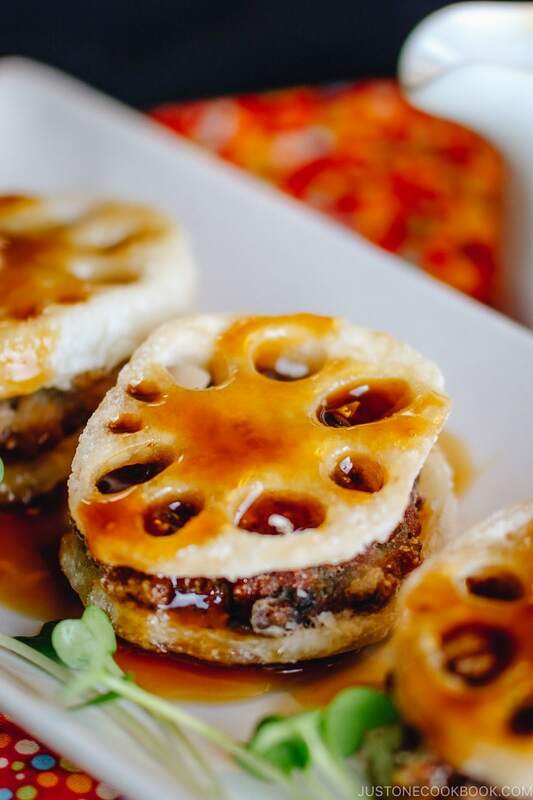 Stay tuned for more delicious Japanese BBQ recipes coming up this month! Quick seafood as an appetizer or on the side. Soy sauce, Japanese sake, mirin and butter are my secret touch to this Clams! 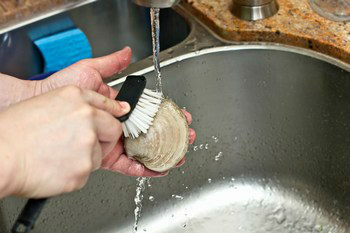 Scrub the clams thoroughly with a brush in running water. 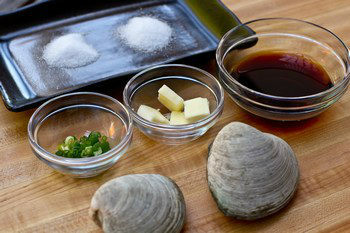 At least about 2-4 hours before grilling, de-grit clams to purge the sand (Read How To De-Grit Clams). Start the grill. Meanwhile prepare the rest of ingredients. Chop green onions, cut butter into small cubes, and combine the seasonings in a small bowl. When grill is hot, place the clams on it. When the clams are fully opened, after about 5 minutes, pour the Seasonings and put green onion and butter on the clams and cook until boiling. Carefully remove them from the grill. Try not to spill their juices. Serve on top of salt. Enjoy! Wow I can imagine the flavour of that one, I love clams specially the rich taste cooking it simply as that is the best. You may wanna check out this yummy biscuits that I got to try during my blogging trip in Malaysia: Julie’s Biscuit, Bringing Back The Good-Old-Days! See u there! Namiko-san, Ohh that is so sweet… kindergarten. (I remember those days) My boys are just a BIT older now…. I loves shell seafood. 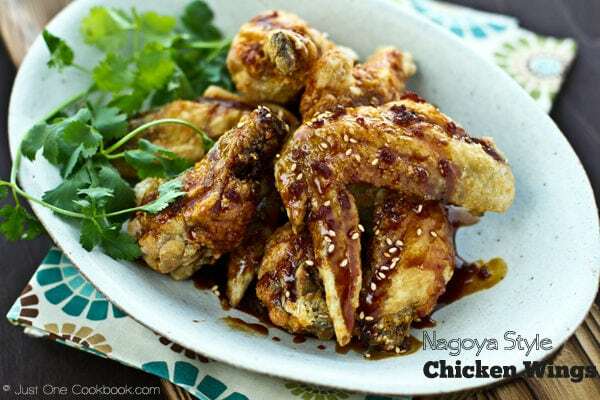 What an easy way to make this dish Nami. It must be delicious with full flavour in it. Drooling now just looking at it. That’s a nice how-to guide with pictures to cook clams. I don’t think I’ve ever had clams this way. You are going to have to much fun with your son during the next 10 weeks. Lovely photo Nami! Love the light falling on the clams. I live in the Philippines, but we are more or less after American education system because we used to be America’s colony, and common wealth of American, too. So yes, summer vacation is like three months long!! Though summer here is around middle of March to middle of June. Yes! Finally the loooong summer will end in few days! My youngest, 7 years old daughter took ballet and gymnastic this summer, because if I don’t enroll in anything, since she doesn’t have any playmates around the house, she’ll be so bored and torture our dog. I enjoy your recipes! Thank you so much! We don’t have clams this big, though. It is so envious that your husband can help you BBQing even not all the time. Darn those are some big clams!! And they are grilled beautifully! Have fun with your son this summer holiday. Hope you have some great activities planned. Clams done on the BBQ? This is wonderful. 10 weeeeeeeks? Golly. I was about to gloat that we only get 6 but just checked: my daughters have 9 weeks from French school. I’m like you, Nami. Being the entertainer is a real job but so much fun and worth it in the end. Sounds like he should take BBQ tutorials from Mum and Dad! A big congrats to your son for finishing kindergarten! How exciting!! Oh to be young again and enjoy an entire summer of no worries. 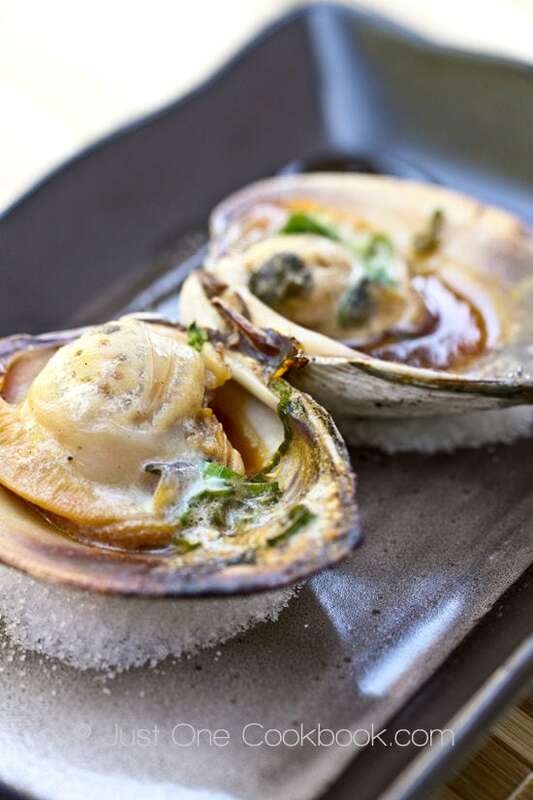 The grilled clams look amazing Nami! So delicious. I love clams and this seems like a perfect way to prepare them. I nominated you for an award too (cause you know how much I love your blog! ), stop by my blog to see what its all about! It’s wonderful to know that aour kids just finished a school year, but yes, then comes the vacation and we start realizing what to do with the kids as they will be at home all the day. SOmetimes is difficult if your kid is quite active. My husband will love this recipe, he likes seafood so much, can wait to share with him this one. Say thanks to your husband…!!! I want to cook more seafood and eat lighter over the Summer, thanks for sharing! I am in the same boat as you…I have a 7 yr old with 10 weeks off too! Today he starts a soccer camp so that’s one week taken care of! It’s hard isn’t it? I am not a seafood fan much, but those clams look divine. I can handle clams. I should make more seafood because my hubby loves it, but you know how it goes. Good luck with entertaining your son! What a pretty photo! My hubby would adore these – he loves clams. Great flavors that you put together. Enjoy the summer time with your little one. Happy Monday! This makes me wish I were a seafood lover. Guess I could make these for the Mr. I would love a 10-week break, too. I just didn’t appreciate it enough as a kid! I’m so glad you posted another clam recipe. I love clams!! I wish I had a 10 week long holiday too! Sounds lovely 🙂 These clams are outstanding. I didn’t even know you could BBQ clams. Duh! I’ve never seen clams on the BBQ before. How wacky am I? That first photo is wonderful! I love the idea of grilling the clams. These look delicious, Nami! Those clams must taste really delicious! I love steamed clams but have not tasted bbq clams! I love clams Nami! They remind me of Greece of course.. I love the idea of serving them on top of salt. Back in Greece kids have also 10 – 11 weeks off from school during summer.. I dont know yet what is the procedure here in Canada, I will learn it next year..
Ha ve a nice week my friend! I’ve never grilled clams! But I have eaten them – and they’re wonderful. Such a simple recipe – I should give this a try. Really good stuff – I love the idea of serving them on a bed of salt. Thanks for this. It is always so exciting when the kids get out for summer break but then I’m always thrilled when they go back! It can be tough to keep them occupied when they are young. Mine are teenagers and are working and doing sports over the summer so they will be VERY busy – thankfully! I have always been a little wary of clams but I would try yours Nami. The flavors in the sauce would make them wonderful and I love the idea of grilling them. Hi Nami! I hope you have a great summer time with your family! ovely! I’ve never eaten clams, but I’d love to try those. Just gorgeous!!! I can’t wait to eat some clams when I’m back in New York this summer! Your photos always look so yummy! Can’t wait to try the sauce recipe–I’m sure it’s delicious! (My mouth is watering!) Enjoy the summer with your son. Maybe he can help you in the kitchen? 10 weeks is a long break! Wow! Love clams but I never tried grilled ones before. 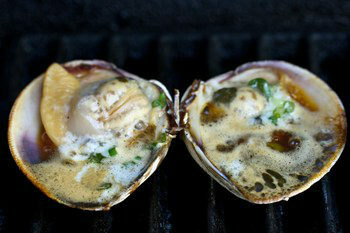 I can dream of the clam “juice” contained in the shell and accentuating the flavors of the clams while grilling. yummy! Oh you will see the 10 weeks will be up before you know it and you will not have done everything you wanted to do with your son. Love this recipe, never saw a mollusk on a BBQ before! oh wow those look amazing! i want to eat these – like immediately! These clams are gorgeous, and I love the presentation! Your husband did a wonderful job cooking up your delightful recipe! We used to get 10 weeks of summer holidays in Poland too. School finishes around about now and goes back on 1 September. Here in Australia summer holidays run from a week before Christmas till the last week of Jan, about 5 weeks. As for the clams they sound delicious, and you are lucky that hubs is happy to cook them for you. Mine would prob cringe a little… Haha! This looks so delicious Nami. You just made me want to run to the fishmonger and get myself some clams to grill. Never had them grilled before. Just mussels. I can’t wait! My 6-year old is also officially on his summer break until mid-September. It’s a bit longer here, 12 weeks. I’ve mostly had clams as part of chowder, but I like the seasonings in this! Simple, yet sounds so good and perfect for summer. These look fantastic. I am a big seafood lover. Clams were on sale at the grocery store last week and I didn’t get any. I have been kicking myself ever since but especially after seeing your photos. I tend to eat clams in chowder mostly, but these look very delicious. Also, can’t wait to see more of your Japanese recipes. These clams look amazing!!!! I love all those ingredients. Yum! Would you call this a Japanese adaptation of French cuisine? They look yummy! What a wonderful way of preparing clams. These clams looks so succulent and full of flavor. It’s funny that although these little neck clams are available year around here and I live not that far away from Little Neck, I actually don’t buy them as often as I do other shell fish. I think it’s time for me to change my menu 🙂 Thanks for sharing! Bobby was looking over my shoulder when I opened up this post and immediately said “WOW – those look good!” I think I need to go find some clams! 🙂 Since I’ve never made clams I really appreciate the instructions and of course this great recipe! Looks amazing!!! I’ve never come across the trick with the salt, but it’s simply genius. =) Another keeper for the summer season — I look forward to your other BBQ recipes! I am craving Japanese food at the moment and these clams would be so welcome on my plate! 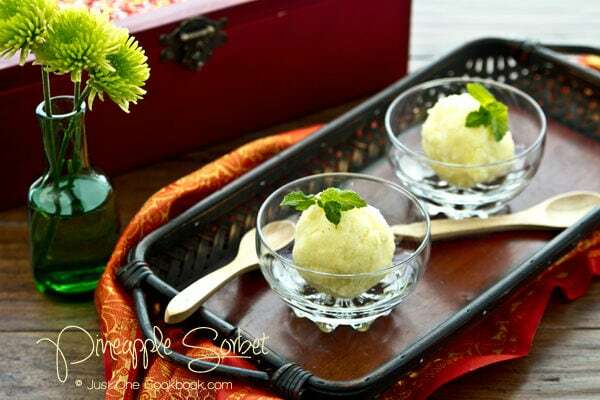 Love this recipe Nami! Congrats to your son! Those clams look delicious. Stunning photos! Lovely clams! I better make some Korean style soon, IF I find the giant size. Your photo is lovely, Nami! My kids started summer break this week and planing to do something fun with them. Have a great time with your young ones! They grow so fast! I also have a son he is six years old-)) your clams look so tasty, I love seafood very much, thank you for the good recipe! Congratulations on your son graduating from kindergarten. Before you know it he’ll be graduating from high school. Your clams look great and so easy to prepare. Your picture tutorial is fantastic, covering every detail. In Greece schools are closed for 12 weeks Nami. Now this is the vacation I would like too! The clams look very juicy and inviting! Aah, what fun to have 10 weeks vacation… I actually used to get that from work here… well, 49 days vacation. Then they changed some things so I worked fewer hours and now I just get 5 weeks and a day. Oh well – shouldn’t complain. I know in some countries people have it a lot worse. 10 weeks of summer break?! What a break (not for you, I guess :P)! These clams look amazing! Never had grilled clams in my life.. and they seem delicious! My family rarely ventures outside of grilling burgers but I’ll have to get them to try this! Wow 10 weeks for summer break? Now I can’t remember how long we had in our American school. Sounds like summer will be a busy one for you too, but at least with BBQ season your hubby can help out in the kitchen more. I love clams but don’t think I’ve ever had them like this. They look delicious! Nami your photos are truly appetizing and these look just fantastic. I have never seen them sliced open first always steamed to open. Beautiful recipe. 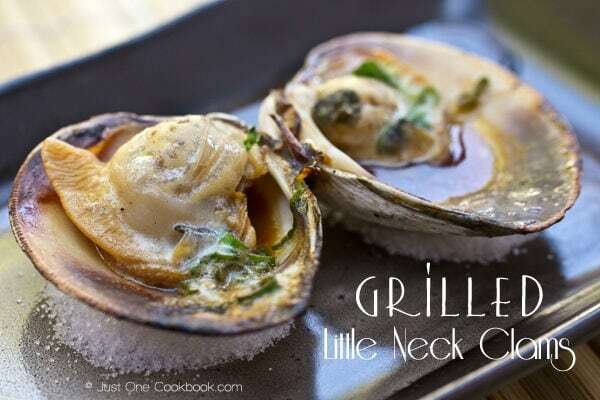 Nami-I’m totally impress with the method and style…not to mention the delicious flavor of your grilled clams…sitting so properly on a bed of rock salt. Beautiful presentation, as well. I have not grilled clams, but have grilled squid, by cutting the body in half, and scoring it…so good. I can only imagine how yummy the clams would be grilled! This is such fun Nami – you take all my traditional foods and then I see they are your traditional foods – and they are so different but so welcome. Love clams and have never had them prepared like this. I used to frankly love when the kids were off – they were not quite as scheduled as during the school year and allowed for a lot of aimless wanderings and daydreaming. I love clams! These look so good! To die for!!! I love clams! Im absolutely hungry now! Summers were always the best…didn’t appreciate how long they were for parents, though. These clams would keep me happy for awhile! These look great Nami. We can never have seafood due to allergies. But I grew up with clams being a regular thing in our house. My dad was from the east coast so seafood was a big deal here. He would have loved these. I just the the simplicity of good sea food! I never thought to do clams this way. I do the grilling at my house…my dad taught me at a young age. 😀 I must say I am enjoying my summer off so far…it’s just been one week, but I don’t have to go back to work in the school clinic until Aug 15. …lovin’ it! I am not a seafood person but I just love your plating and picture, very elegant Nami. I’ve been trying to get to this post for the past few days and thankfully got in today. You know how I am with clams and, boy, that was torture. Well, seeing it and not having it is torture, too. This just looks sooo good, Nami. I think I’ll get a clam tattoo. Absolutely stunning photos Nami! I love the lighting on the clams. My husband and I were shopping last week for stuff to throw on the grill. When we came across some clams, we had a lengthy debate on whether or not they could be grilled. Thanks for settling that for us, these sound great! Nami, I can sincerely say that I have never seen clams look this good. Your photography is simply outstanding and your recipe perfect simplicity. Congrats to your young man graduating from Kindergarten… that’s a huge mommy milestone! Ah yes, endless summer vacation… I remember… ;-). 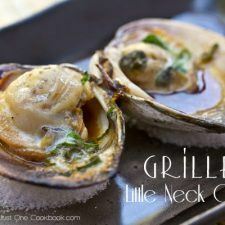 I love grilling clams but I usually just do them boring ans plain. Thanks for this idea. Taking grilled clams to a new level! how good is that 10 weeks man! I wish I am a child again .. no wait, i take that back! I prefer to be an adult, savouring all these food and cooking it. This looks amazing- your family is so blessed to have u! Oh I so like the look of this clams. The bad thing is my husband is allergic. The good one – he’ll be in Copenhagen for the next 2 months, so I can cook it as many times as I like. Actually if I’ll be able to find a fresh one in Berlin. Congrats on Enzo’s promotion on to next grade! He must be happy to be first grader next year! i am not fan of clams..well I never dare to dry them, but yours look very good! My boys are crazy about clams..so i know they would love this. I love anything from the grill so i will look forward to your yummy recipes this month! Those clams are stunning–beautifully presented. Congratulations on your son’s kindergarten graduation and I hope you get to spend some good time with him this summer. I also envy those who get an entire summer off! You always have something fun and delicious! I’d really love to eat these….are the clams the same as those used in spaghetti vongole? It’s hard to find clams over here. What a great way to savour the clams! I usually always stir-fry clams and never grill them (stir-frying is the only method I know to cook clams, that’s why ;)). Thanks for showing me another way, the clams look totally delicious and juicy :). I see these clams so often whenever I go to the fish markets here and have never cooked them before. I really ought to try this recipe seeing how simple it is with so few ingredients. I’m with you, I wish I could get 1o weeks off too! My husband loves clams. I usually steam them with wine and herbs, but I think I’ll treat him to your grilled version. He’ll be in heaven.